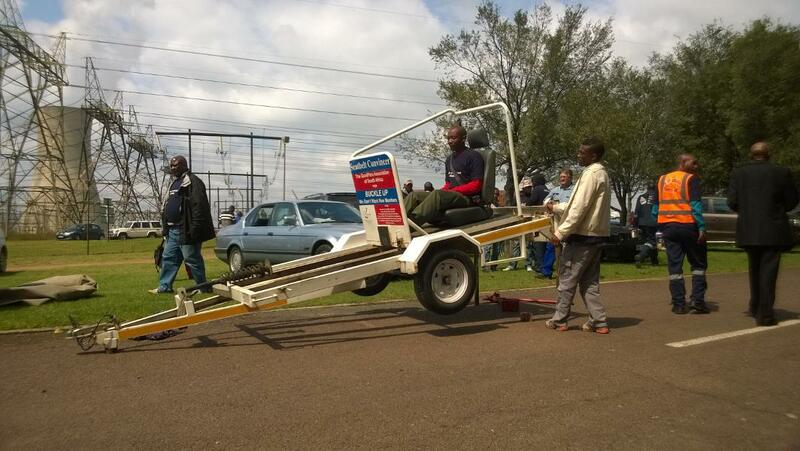 On 28 April 2014 we paid Matla Power Station a visit to deploy a seatbelt convincer at their safety day. 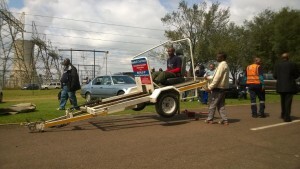 Employees were encouraged to sit on the seatbelt convincer to be made aware of the importance of wearing a seatbelt while using any kind of motor vehicle or taxi. The seatbelt convincer simulates a head-on collision at 8 km/hour and many of the participants were amazed at the impact felt at this speed. 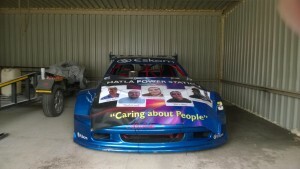 House Otto members are now also a part of Matla Power Stations safety campaign with our faces that were put on their racing car ‘Marosa’. 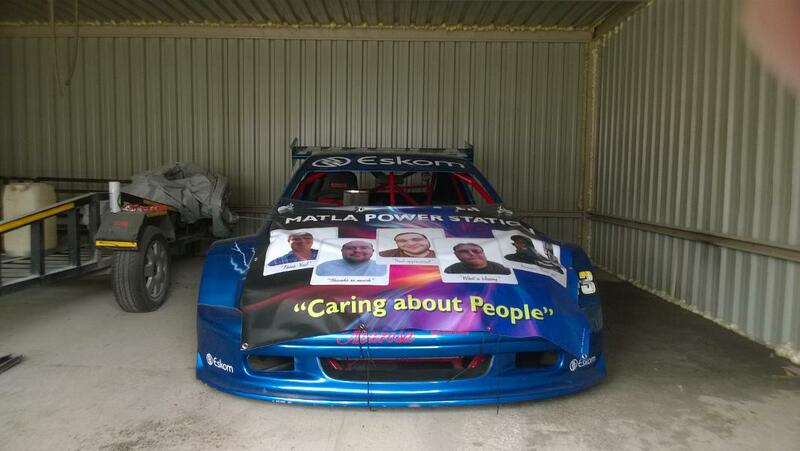 Marosa stands for Matla’s Road to Safety and we are indeed proud to part of this initiative. A Matla employee taking a ride on the seatbelt convincer. 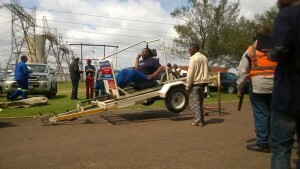 Another Matla employee that wanted to experience the importance of wearing a seatbelt.